My last blog entry talked about forming a care team. If you suffer from an asbestos-related disease, a mesothelioma lawyer is an important member of your team. A mesothelioma lawyer can help you seek compensation for rising medical expenses and loss of income during your illness. Speaking with an attorney now can spare your family a lot of worry later. If you’re like most people, you’ve never hired a lawyer. You may not want to speak with a lawyer because you’ve heard one of the many myths about working with an attorney. Over the next couple of weeks, I’ll talk about some common myths. I’ll also offer information to bust those myths and show how an attorney can help you. Myth #1: I can put off speaking with a lawyer while I focus on my health. You may believe that an attorney can only help you seek justice from those responsible for your asbestos exposure and illness. If you are interested in getting justice, you have every right to seek it and a lawyer may be able to help. You may be inclined to focus only on your health. That is also your right, but an attorney can still help you. Your treatment will likely be aggressive and exhausting. You need an environment that allows you to rest and recover during treatment. Financial worries can disrupt that environment and interfere with your health care. It is important that you not only make a health care plan, but also make a financial plan soon. Financial assistance may be available to protect your family’s future and the quality of your care. 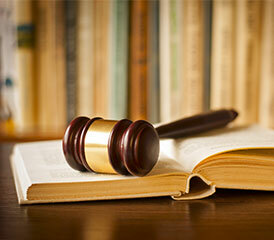 A mesothelioma lawyer can help you make a plan to seek financial assistance. Plan to speak with an attorney as soon possible after your diagnosis. Medical and other expenses related to your disease can grow quickly. If you are diagnosed with mesothelioma, these expenses can reach several hundred thousand dollars or more. Even if you have health insurance, you will also have to pay some expenses out of your own pocket. Trying to reduce expenses alone will probably not be enough. One reason is that it is very difficult to control medical costs when you are suffering with a serious illness. There is not much you can do to cut out costly, but necessary, treatments and prescriptions. Another reason is this: as your expenses climb, your income will likely fall. You will most likely have to stop working during your treatments. Other members of your family may also need to stop working to help care for you. There is a delicate balance between covering your expenses and having enough income to provide for your family’s needs. This balancing act starts on the first day of your diagnosis. If you delay making a financial plan, your money matters will only become harder to balance. You will likely need help, so seek financial assistance early. A mesothelioma lawyer can explain your options. If you are uncomfortable with filing a lawsuit, an attorney can explain the process. A mesothelioma attorney can also explain other types of claims that you may be able to file. These may include workers compensation and veteran’s claims. You may also be eligible for payment from trust funds for bankrupt asbestos manufacturers. Keep in mind that you may have a limited amount of time to file certain claims after your diagnosis. The sooner you speak with an attorney, the sooner you can consider your all of your option(s) and put your attorney to work for you. Act now so you can rest better later. Karen Marshall has more than 17 years of legal experience and is an attorney with The Peterson Firm. She has been contributing to The Mesothelioma Center since 2011 and writes about asbestos-related legal issues and blogs for Asbestos.com.